We know that students who are homeschooled can succeed academically—some homeschooled students score high above the national average on standardized tests. However, we do not know how well the average homeschooled student does academically or whether homeschooling can be credited for the success of those who are high achievers. We know that homeschooled students can and frequently do succeed in college, but we do not know what percentage of homeschoolers are being educated to college level, and there are some indications that homeschooling may actually depress college attendance. Every homeschooling family is different. While many homeschool parents involve their children in a myriad of activities and some enroll their children in college courses while in high school, others neglect their children’s education or homeschool only in an effort to cover for chronic truancy or abuse. Just as the existence of homeschool parents who neglect their children’s education does not mean all homeschool parents do the same, the existence of homeschool parents who provide their children with a first-rate education does not mean all homeschool parents do the same. Our knowledge of homeschooling’s effect on academic achievement is limited by the fact that many of the studies that have been conducted on homeschoolers suffer from methodological problems which make their findings inconclusive. When people look at data studies and see a relationship between two things, they often assume that there is an obvious cause-and-effect, A-makes-B-happen, relationship. Sometimes this is true, but sometimes this isn’t. For example, there is a very strong correlation between sales of ice cream and shark attacks. Does this mean that buying ice cream somehow causes sharks to attack people? In actual fact, both ice cream sales and shark attacks are higher in the summer, leading to the correlation. But if you believed that correlation always implies causation, you would have to logically conclude that there is a causal connection between buying ice cream and being attacked by a shark. This kind of false logic is too often prevalent in research on homeschooling, where researchers attribute children’s high test scores or achievement to homeschooling when the true causal factor may be excellent parenting and resources and the child would have excelled in any kind of school. A major problem with a large-scale study of homeschoolers is that as a group, homeschoolers lack external validity—meaning that one group of homeschoolers is not necessarily comparable to another group. Studying homeschoolers in Massachusetts doesn’t tell you anything about homeschoolers in Alaska, and studying groups of Christian homeschoolers is not going to give any meaningful information about secular humanist homeschoolers. The strong variation within homeschoolers—and even within homeschooling families!—makes it difficult to generalize results from seeing any one group of homeschoolers’ test scores. A further problem with most studies of homeschoolers is that these studies tend not to correct for background factors. While homeschooling families are very diverse, homeschooling families who volunteer to participate in studies on homeschooled students’ academic achievement tend to be wealthier, whiter, and have parents with higher levels of educational than public school families. Comparing homeschooled students to public school students is more like comparing apples to fruit salad than comparing apples to oranges. 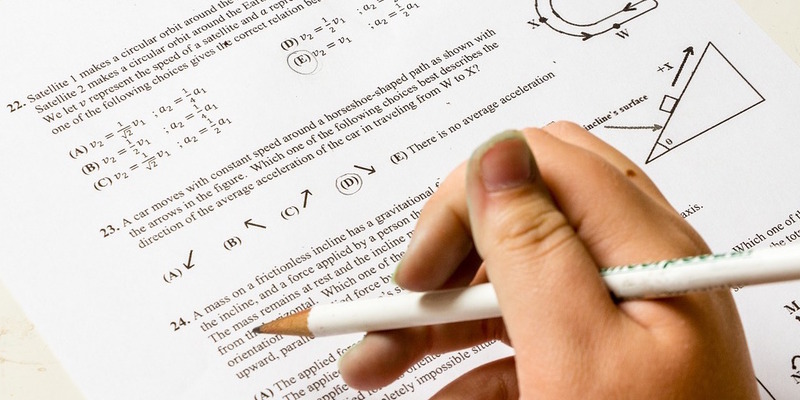 To study the effects of homeschooling on academic achievement, you need to compare the apples of homeschooling to the apples of public school—in other words, you need to compare the test results of the homeschooled students participating in a given study to the test results of public school students who have the same background and relative advantages. When you control for these factors, homeschooled students’ and public school students’ achievements look very similar. Most of the studies of homeschooled students that have been conducted use volunteers, which means that they are not random or representative of the homeschooling population. This also means that test result reports are likely to be upwardly biased, as only the parents of students who are testing well are more likely than others to volunteer their children’s test scores. Further, some homeschooling groups tell their members not to participate in research studies, whether the research is funded by the government or by academic or ideological organizations. This adds to potential bias and limits the validity of all homeschooling studies. Despite the problems in existing research, homeschool advocates continually tout studies which show that homeschooled students significantly outperform students who attend conventional schools—or so they claim. Frequently, a closer look at the studies will show that advocates are exaggerating homeschool successes or ignoring important caveats about the data or which causal effects can be drawn from it. We here at CRHE have assembled some of the most important studies conducted and numbers collected to date that deal with homeschooled students’ academic achievement. You will find a summary of the findings, methodologies, and limitations of each below. Possibly the most famous study to be conducted on homeschooling, it is also one of the most widely misunderstood studies. Although Rudner says in his abstract that “[b]ecause this was not a controlled experiment, the study does not demonstrate that home schooling is superior to public or private schools and the results must be interpreted with caution,” homeschool advocates frequently use Rudner’s results to demonstrate exactly that. Further, Rudner used only a non-random sample of homeschoolers who were all using Bob Jones University-provided curricula—limiting the generalizability of his results even further. Rudner is very clear that his results only show that homeschooling can be successful—something we definitely agree with! For more, see our full analysis or this critique by Welner and Welner. Brian D. Ray of the National Home Education Research Institute is one of the most prolific researchers in the homeschool research community. Unfortunately, many (if not all) of his studies fall prey to many of the methodology critiques we have outlined above. Most glaringly, Ray’s studies tend to rely on non-random samples of homeschooled students whose families are far wealthier, better educated, and more stable than the average American family, and then compare their scores to the national average without correcting for background factors. With this sort of sorry methodology, it is not a surprise that he finds that homeschoolers do much better than public school students. His 2009 report and related 2010 article, with the repeated non-random sampling problem and the conflation of correlation and causation, show the same weaknesses as his earlier work. For more, see our full analysis. The CARDUS study is very interesting in homeschooling research, as it was not originally intended to study homeschooling students, but rather compare the outcomes for religious and non-religious students. As the researchers’ random sample included a substantial number of homeschooled students, they broke out the religious homeschoolers into their own segment, which allowed them to control for background factors. Interestingly, while the homeschooled students surveyed felt very positively about their experience, they actually attained less education on average than the students who went to public or Christian schools. For more, see our full analysis. This Canadian study addressed the issue of background factors by matching homeschooled and public school students in pairs and comparing test scores between each pair in order to tease out the differences between parental involvement and educational method. During the course of their study, Martin-Chang and her collaborators noticed that homeschoolers who came from high-structured schooling environments did noticeably better than homeschoolers who came from low-structured environments. Public school students did worse than high-structured homeschoolers and better than low-structured homeschoolers. For more, see this review by Gaither. Researcher Clive Belfield analyzed data from the 2001 SAT, comparing homeschooled SAT takers to other groups of SAT takers. Belfield found that the average score for all homeschooled students was 1093.1, 80.5 points higher than the public school average, 37.5 points higher than the private religious school average, and 30.7 points lower than the private independent school average. When Belfield corrected for background factors like parental income and education, he found that homeschooled students scored 38.6 points better than predicted. This difference was located entirely in the verbal section of the SAT, and Belfield found that homeschooled students scored slightly worse than predicted in the math section of the SAT. However, Belfield also found that self-identified homeschool students made up only 0.5% of all students taking the SAT despite the fact that the National Center for Education Statistics estimates indicate that between 1.7% and 2.2% of all students were homeschooled that year. The average score for all homeschoolers is consistently about a point and a half above the average of all students taking the test. We can see what percentile rank such a score would come out to here, as the numbers don’t shift noticeably year to year. The average for all students taking the test is generally around 21 points, which would be around the 57th percentile, while the average for homeschooling students is generally between 22 and 23 points, which would be around the 65th percentile. While the average for all students identifying themselves as homeschoolers is slightly higher than the total average for all students, no researcher has yet corrected this data for background factors as Belfield did for the ACT. Further, the number of homeschooled students taking the ACT has consistently been extremely low in comparison to the total homeschool population, suggesting that ACT scores only measure the scores of the most driven homeschooled students. In 2011, when an estimated 3.4% of all students were homeschooled, only 0.78% of students taking the ACT were homeschooled. Based on existing research on homeschooling, we can draw the following conclusions. 1) Homeschooled children who participate in studies do not tend to show educational deficits. Homeschooled students who volunteer to participate in studies of homeschooling tend to do as well as public school students do on standardized tests. Thus homeschooling does not appear to lower the scores of homeschooled children whose parents opt to have them take standardized tests and volunteer to participate in studies. However, because homeschooled students who participate in studies tend to come from families with higher than average incomes and high levels of educational attainment, we do not know whether this holds true for homeschooled students from less privileged backgrounds. Only in places where all students, homeschooled and non-homeschooled alike, are required to take tests can we eliminate this selection bias. While volunteer-based studies of homeschoolers sometimes find that homeschooled students exceed the national average by 30 percentile points before background factors are taken into account, we see much smaller gaps in achievement between homeschooled and non-homeschooled students in states that require all homeschooled students to take tests. Even in these states, some or all of this difference may be the result of background factors rather than of homeschooling. 2) Homeschoolers tend to do better in reading and writing than they do in math and sciences. 3) Homeschoolers who attend college do well, but homeschooling may depress college attendance. Homeschoolers who enroll in college tend to succeed academically, and in some cases may do better academically than their public school classmates. Homeschoolers report having some difficulty adjusting to the structure of a large class and to socialization, but appear to generally adjust well. These conclusions are based on relatively small sample sizes and anecdotal studies, they seem to be consistent across all research we’ve encountered. However, there is some indication that a comparatively lower percentage of homeschoolers attend college than average. While some parochial colleges may report higher than average percentages of homeschooled students, anecdotal reports from state colleges suggest that only about 1% to 2% of their students were homeschooled, although somewhere between 3% and 4% of all K—12 students are homeschooled. Further, homeschooled students are underrepresented among those who take the SAT and the ACT. The Cardus Education Survey, which used a random sample and corrected for background factors, also found that homeschooling depressed college attendance. It is possible that some homeschoolers may not identify as such when they apply to college or take the SATs or ACTs, but this does not explain the full discrepancy. For more, see our brief on homeschool outcomes. Homeschooling really took off in the 1980s and early 1990s, which means that the first generation of homeschoolers is just now reaching adulthood. There is no widespread systemic follow-up of these former homeschoolers, and those few that have been attempted have many methodological issues. We will be keeping track of this cohort as they keep moving on, and hope to find ways to compare their outcomes to non-homeschooled adults raised under similar circumstances. Some key areas for future research include: homeschooling enrollment in college; homeschool retention over time; and careers chosen by those who were homeschooled. Some of these topics will be difficult to study. For example, we do not know if the relation between homeschool test-takers and homeschool non-test-takers is the same as between public school test-takers and public school non-test-takers. At the most basic level, because of the nature of public schools and homeschooling it is relatively easy to gather representative data on public school students’ academic achievement but comparatively difficult to gather representative data on homeschool students’ academic achievement. This may account for some of the methodological problems in previous studies, but it is no excuse for promoting bad data.